After two feature films about identity, femininity and the construction of self, Céline Sciamma completes her trilogy with a film about four black adolescent girls employing a stereotypical vision of a girl gang from a neighbourhood. And it is applauded by the French cinema establishment. "These working class girls flanking the metro with the souk..." (Slate.fr). "These girls from the 'hood (Le Monde). "The riffraff girl gang" (Le Nouvel Observateur). "The black Beatles chicks from the 'hood (Les Inrockuptibles). Here are in several phrases, the French image of black girls who live on the outskirts of the French capital presented in the latest film by Céline Sciamma. This film demonstrates a mastery of composition, lighting, staging and directing of actors, like her previous films Water Lilies (2007) and Tomboy (2011)—a diptych on identity, self-acceptance and discovery of sexuality. Featuring four beautiful novice actresses: Karidja Touré, Assa Sylla, Lindsay and Karamoh Mariétou Touré (as well as two rising actors, currently confined to supporting roles: Idrissa Diabaté and Rabah Naït Oufella) Girlhood was a sensation at Cannes last May  and aided by beautiful advertising, it awaits its place leading up to the Caesars, and will certainly receive an award. A girl (Karidja Touré, featured in ELLE magazine, 2014), oppressed by her environment, decides to join a group of girls, dancing to the music of Rihanna, they dictate their own laws. She falls in love with a guy from the neighborhood, but not wanting to look like a “sucker”, is forced to hide her feelings. Her mother, who works as an office cleaner, reflects the preponderance of people of color in these jobs in France. Her brother beats her for no reason, while demanding that she wear a blonde wig to meet a dealer (presumably to move about with discretion?) This girl gang, who brawls and steals clothes, reinforces a French cinema that already demonstrates an inglorious representation of its minorities. It is rather amusing to note that the wave of constant media criticism of this film comes from the "minorities" [of non-European origins], a public that is fed up and disappointed with films such as: "Fatou the Malian, Samba, Girlhood, Cité Rose...France sells you dreams my negroes", cited by LeCritiqueur on Twitter. 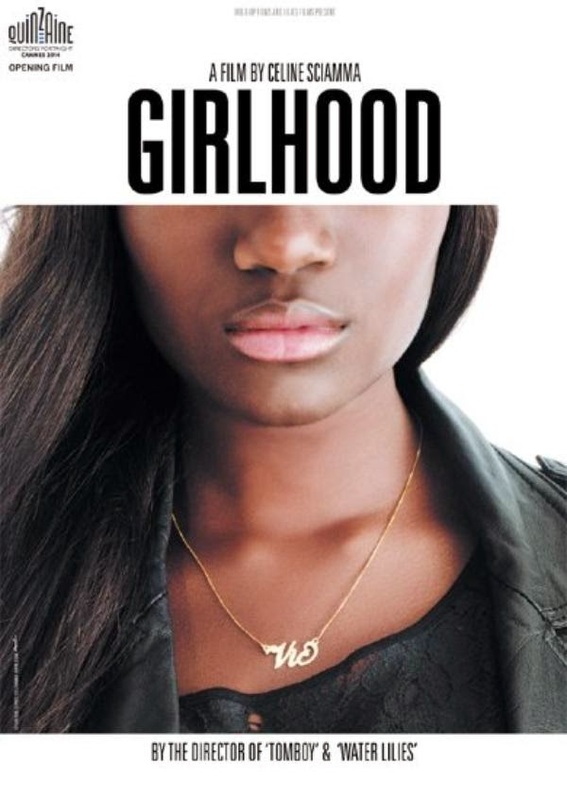 "The film Girlhood, in summary, will further stigmatize black girls: they are loud and wild," Nihahsah tweets. "A huge disappointment !!! Clichés as long as the weaves of the protagonists, devoid of any credibility, such as the scene of the heroine who steals from a school mate, words put into her mouth that sound incredibly fake!" writes Jamel Zaouche lashing out on Facebook. How does one interpret the unexpected hopes that this film created in France? The expectations, the desire, to see black people on the screen. Beautiful smiling girls who one wants to love and watch. How does one interpret the media hype surrounding this film? That France needs to reassure itself by looking at characters whose social determinism does not cause discomfort. This poor girl, in her housing projects, beaten by her brother, obliged to help her mother at work, stealing clothes and skipping class! Let us not have to hear the usual verse, that "there are no black actresses in France." How many actresses are waiting patiently for someone to offer them a role commensurate with their talent? Once again, French cinema locks itself into a quasi-ethnographic vision of these "neighbourhood youth" (condemned to an ageless youth) that one likes to dissect and observe, but does not listen when they speak. So will films of the new generation of filmmakers—this Double Wave composed of artists born in France to parents from abroad—find a place on French screens? Where are the roles representing intelligent, talented black people, whose character is not conditioned by their cultural background or by a fixed image? Who will go listen to the flow of "KT-Gorique in Brooklyn" by Pascal Tessaud, to non jargon-filled dialogue such as "Ghetto Child" by Guillaume Tordjman and Uda Benyamina, the future films of Maimouna Doucouré and Josza Anjembe? When will one realise that actors "from minority origins" are also influenced by Lino Ventura and Jean Gabin? These actors of a bygone era where dialogue and attitudes still make one dream? One will probably have to wait for the next film by Alice Diop for the public and professionals to become aware of the potential of this generation. As she showed in her documentary The Death of Danton, where Steve Tientcheu broke with "the statistics of social determinism" to become an actor, only to be confronted with "a certain type of role and straightjacket" from which he had difficulty breaking free. Hopefully the actresses of Girlhood can go beyond this. And the film of Céline Sciamma will open the eyes of the industry on the "muzzled" creative potential that exists in this country.